I first discovered the AND 1 mixtapes in the late 1990s. The mixtapes were a series of basketball “streetballing” videos, created by the popular basketball shoe and apparel company AND 1, that featured lightning-quick ball handling, acrobatic slam dunks and jaw-dropping displays of individual talent. 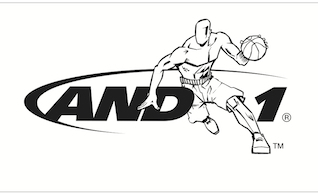 I was a huge fan of the AND 1 mixtapes because the players used flashy, show-off moves that were very different from the more traditional style of basketball played in college or the NBA at the time. Many years later, I was quite surprised to find out that two of AND 1's cofounders, Jay Coen Gilbert and Bart Houlahan, along with Andrew Kassoy, their longtime friend and former Wall Street private equity investor, were the people who created the Certified B Corporation (also referred to as just B Corporation, or B Corp). I learned that Gilbert’s and Houlahan’s experiences at AND 1, and Kassoy’s on Wall Street, were central to their decision to get together to start B Lab, the nonprofit behind the B Corp movement. AND 1 was a socially-responsible business before the concept was well known. AND 1’s shoes were not organic, local or made from recycled tires. But the company had a basketball court at the office, on-site yoga classes, great parental leave benefits and widely-shared ownership of the company, and it gave 5 percent of its profits (totaling more than $2 million) to local charities promoting high-quality urban education and youth leadership development. AND 1 also worked with its overseas factories to implement a best-in-class supplier code of conduct to ensure worker health and safety, fair wages and professional development. That was quite progressive for a basketball shoe company, especially because their target consumer was the teenaged basketball player, not a conscious consumer with a large amount of disposable income. AND 1 was also successful financially: From a bootstrapped startup in 1993 to modest revenues of $4 million in 1995, the company grew to more than $250 million in U.S. revenues by 2001. This meant that AND 1 — in less than 10 years — rose to become the No. 2 basketball shoe brand in the United States (behind Nike). As with many endeavors, however, success brought its own set of challenges. AND 1 took on external investors in 1999. At the same time, the retail footwear and clothing industry was consolidating, which put pressure on AND 1’s margins. To make matters worse, Nike decided to put AND 1 in its crosshairs at its annual global sales meeting, in order to gain a larger share of the market. Not surprisingly, this combination of external forces and some internal miscues led to a dip in sales and AND 1’s first-ever round of employee layoffs. After painfully getting the business back on track and considering their various options, Gilbert, Houlahan and their partners decided to put the company up for sale in 2005. The results of the sale were immediate and difficult for Gilbert and Houlahan to watch. Although the partners went into the sale process with eyes wide open, it was still heartbreaking for them to see all of the company’s preexisting commitments to its employees, overseas workers and local community stripped away within a few months of the sale. In their journey from basketball (and Wall Street) to B Corps, Gilbert, Houlahan and Kassoy had a general sense of what they wanted to do next: the most good for as many people for as long as possible. How this would manifest, however, was not initially clear. The three men’s initial, instinctive answer to the “what’s next?” question was to create a new company. Although AND 1 had a lot to be proud of, they reasoned, the company wasn’t started with a specific intention to benefit society. What if they started a company with that intention? After discussing different approaches, however, Gilbert, Houlahan and Kassoy decided that they would be lucky to create a business as good as those created by existing social entrepreneurs like Ahmed and Reem Rahim from Numi Organic Tea and Mike Hannigan and Sean Marx from Give Something Back Office Supplies. And more importantly, they decided that even if they could create such a business, one more business, no matter how big and effective, wouldn’t make a dent in addressing the world’s most pressing challenges. They then thought about creating a social investment fund. Why build one company, they reasoned, when you could help build a dozen? That idea was also short lived. The three decided that even if they could be as effective as existing social venture funds like Renewal Funds, RSF Social Finance or SJF Ventures, a dozen fast-growing, innovative companies was still not adequate to address society’s challenges on a large scale. What Gilbert, Houlahan and Kassoy realized, after speaking with hundreds of entrepreneurs, investors and thought leaders, was that there was a need for two basic pieces of infrastructure to accelerate the growth of — and amplify the voice of — the entire socially- and environmentally-responsible business sector. This existing community of leaders said they needed a legal framework to help them grow while maintaining their original mission and values, and credible standards to help them distinguish their businesses in a crowded marketplace, where everyone seemed to be making claims that they were a “good” company. To that end, in 2006, Gilbert, Houlahan, and Kassoy cofounded B Lab, a nonprofit organization dedicated to harnessing the power of business to solve social and environmental problems. The B Lab team worked with many of these leading businesses, investors, and attorneys to create a comprehensive set of performance and legal requirements and started certifying the first B Corporations in 2007. To learn more about B Corporations, please visit www.bcorporation.net. Ryan Honeyman is a sustainability consultant, executive coach, keynote speaker, and author of The B Corp Handbook: How to Use Business as a Force for Good. Ryan helps businesses save money, improve employee satisfaction, and increase brand value by helping them maximize the value of their sustainability efforts, including helping companies certify and thrive as B Corps. His clients include Ben & Jerry’s, Klean Kanteen, Nutiva, McEvoy Ranch, Opticos Design, CleanWell, Exygy, and the Filene Research Institute. Ryan Honeyman is a sustainability consultant, executive coach, keynote speaker, and author of "The B Corp Handbook: How to Use Business as a Force for Good" (Berrett-Koehler Publishers, October 2014), the world’s first book on B Corporations. Ryan helps businesses save money, improve employee satisfaction, and increase brand value by helping them maximize the value of their sustainability efforts, including helping companies certify and thrive as a B Corp. His clients include Ben & Jerry’s, Klean Kanteen, Nutiva, CleanWell, Exygy, and the Filene Research Institute. Honeyman Sustainability Consulting, a Certified B Corporation, was recently honored—alongside Patagonia, Seventh Generation, New Belgium Brewery, GoLite, and Method—on the 2014 B Corp “Best for the Environment List,” which recognizes businesses that have scored in the top 10% of all B Corps worldwide for positive environmental impact. Ryan has written articles for Utne Reader, TriplePundit, Sustainable Industries, and the Credit Union Times. He has also been a featured speaker at the Wharton School of Business at the University of Pennsylvania, the Hass School of Business at the University of California, Berkeley, San Francisco State University, Mills College, the California College of the Arts, the Sustainable Enterprise Conference, the Marin Renaissance Entrepreneurship Center, the New Sector Alliance, Nextspace, the Impact Hub Oakland, and the Impact Hub SoMa in San Francisco. Ryan holds a B.A. from the University of California, Santa Cruz and a M.Sc. from the London School of Economics and Political Science.